Drum&BassArena add another edition to their best-selling annual album series. 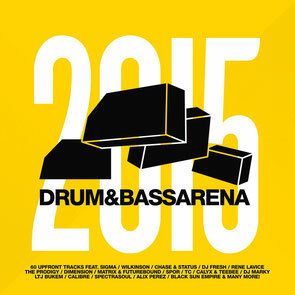 Featuring 60 tracks, 13 exclusives, three CDs, Drum&BassArena return with their longstanding annual spring collection. A vinyl version limited to 1000 pressings featuring 12 exclusive tracks will be released on Record Store Day Saturday 18 April with 100 hand-stamped vinyl pressings available the week before. Uniting the most important players in the game with consistency and clarity ‘Drum&BassArena 2015’ explores, embraces, represents and celebrates the entire spectrum of the scene, shedding light on all its many corners. In the wake of Sigma scoring two massive UK number one hits, more D&B artists achieving daytime A-list playlist airwave action and more D&B artists representing on festival main stages around the globe, the album testifies the genre’s strength, size and influence in all directions. Not just in terms of context and success, but its stylistic elasticity too. 12 of the tracks are 100 per cent exclusive to this album and have never been heard before. Few genres owe as much to vinyl as D&B jungle. A scene thrust to the very fringes of the forefront by wax, both technically and sonically, every blistering breakbeat, bruising bass and suckerpunch drop you experience within D&B exists because of the scene’s once-ruthless dedication to the dubplate. Rewind to the mid-90s: Adam F, Andy C, Grooverider, Ed Rush & Optical, Fresh and many more D&B marksmen all swap tactics and battle weapons at London cutting houses. Big bad business behind closed doors, plates would pass hands on a need-to-know basis. Only the best tracks would command dubplate status and only the best of the best would continue to enjoy full releases months later. 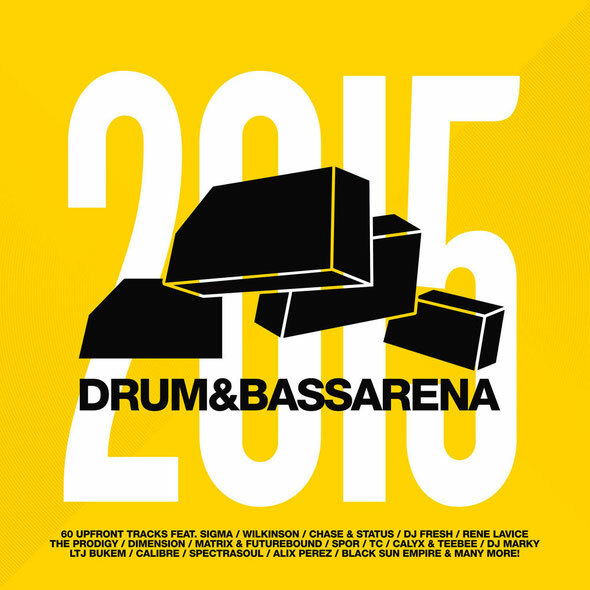 That’s the Drum&Bass arena and this is their latest compilation. Check out the mini-mix below.